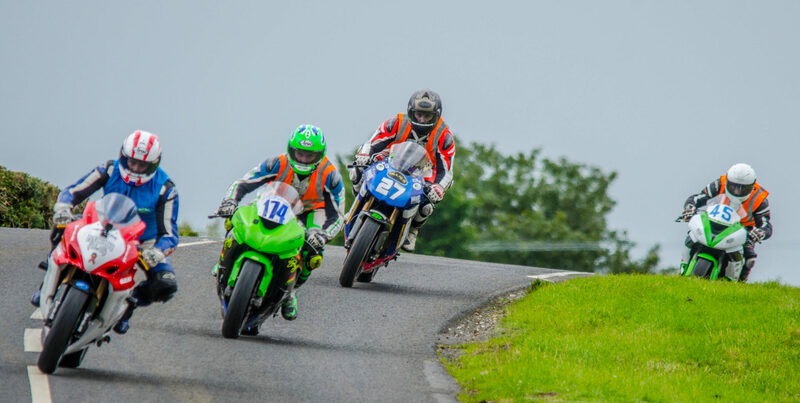 This page provides basic information about how to get started in motorcycle racing in Ireland but provides specific information for potential new competitors who would be applying to become a competitor through an affiliated club of the Motorcycle Union of Ireland Ulster Centre (MCUI uc). The first step is to make contact with and join the Armoy Motorcycle Road Racing Club which is affiliated to the MCUI. There are other clubs you can join and a full list is available on the MCUI website. The Club secretary or Race secretary are usually the first point of contact. This would usually begin with an invitation to attend the next Club meeting where you will be warmly welcomed and have the opportunity to discuss your plans with like minded people who will be able to give you some advice and support. There are as you’d probably expect, a few rules that control and govern the sport of Motorcycle Racing. Rules are set by the Motor Cycle Union of Ireland (MCUI), and here in the north of Ireland by the Ulster Centre (MCUI –UC). There is also a set of regulations that each promoting club issue as part of a race application form. MCUI – Standing Regulations (for Road Races and Short Circuits and Pre 1973 Classic Racing). MCUI (Ulster Centre) – General Rules. Before the commencement of each racing season the MCUI(UC) organises two or three novice training days at a short circuit track. In Northern Ireland these are hosted by the MCUI(UC) and are usually held at Kirkistown, Co Down. At each session a number of training professionals are on hand to provide help, advice and instruction both on and off the track. For more information on training dates contact the clubs TARMAC delegate, or visit the Armoy club website (Competitors Tab) where the relevant dates and information will be posted once it’s available. Being a member of the Armoy club is invaluable when it comes to help and advice from other Armoy club riders and members. There is always a wealth of experience at your own local club. You need to be a member of at least one club to obtain your competitors licence, why not join the best one? You’ve got a voice, why not attend the monthly meetings and give your views and air your concerns about issues that affect your sport. The club has 3 delegates and 1 Tarmac delegate that represent the members of the Armoy club at MCUI (uc) meetings, where we give our clubs views and concerns that can affect all of us in the sport. We are in turn your voice, and we’re all working in the interest of Road Racing. Prize Money – There are races that have extra prize money for club members. A great return on your £10 membership. Support – As a member of the club you can get some much needed support and advise from other members as well as a new fan base that can lend it’s support to you at events and fundraisers etc.